Nintendo’s legendary game-maker Shigeru Miyamoto turns 61 this year. And while he doesn’t seem to be retiring anytime soon, given his age, it’s not surprising that he’d have thoughts about the possibility floating around in his head. Indeed, in an interview with GameSpot, Miyamoto stated that it would be “strange” for him not to be thinking about retirement, though he also made clear that his volume of work hasn’t changed. Miyamoto also revealed that Nintendo has a strategy going forward, under the assumption that he will, indeed, one day retire. …what we’re doing internally is, on the assumption that there may someday be a time when I’m no longer there, and in order for the company to prepare for that, what I’m doing is pretending like I’m not working on half the projects that I would normally be working on to try to get the younger staff to be more involved. However, according to Miyamoto, this is also an attempt at a general change in Nintendo’s development policies. It seems they are attempting to have game producers take more direct responsibility for their projects, rather than turning to him for direction. 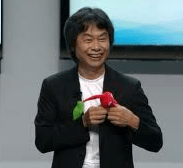 In addition, Miyamoto wants Nintendo’s developers to focus on consumers, rather than trying to please him. …I try to duck out of the way, so that instead of them looking at me, they’re looking at the consumer and trying to develop their games with the consumer in mind rather than me in mind. So, it doesn’t seem that Mr. Miyamoto is going anywhere for the moment, but it’s good that he’s preparing the company for a time when he is gone. After all, no one lives forever. Hopefully, he still has a long career ahead of him, but with all the work he’s done, Mr. Miyamoto certainly deserves a good retirement.